Vezi Acum Midsomer Murders S09E01 - The House in the Woods Online Subtitrat in romana calitate HD. 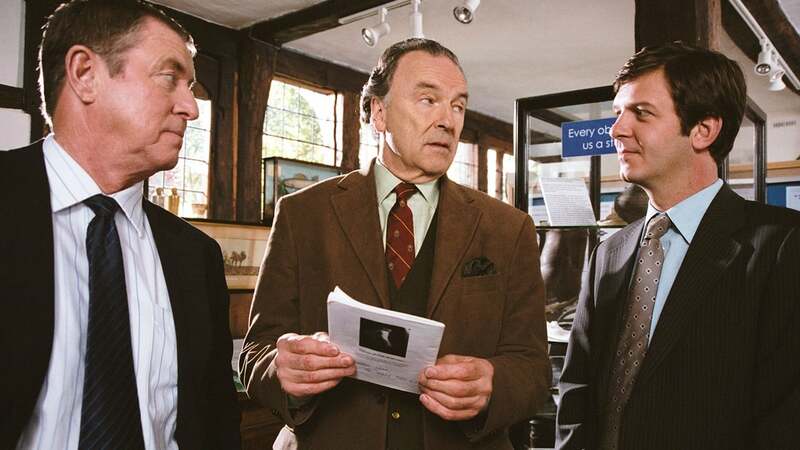 Midsomer Murders S09E01 - The House in the Woods este un episod lansat pe 9 octombrie 2005 super! Vezi acum online gratuit! A couple who have been searching the Midsomer area for a suitable property to renovate, Peter & Caroline Cave, are found brutally garrotted in their car outside a supposedly haunted dilapidated old cottage in the woods near Midsomer Newton. There are several other people interested in buying the house, but are they desperate enough to murder potential rivals? Barnaby investigates, with the assistance of PC Ben Jones, who he temporarily appoints Detective Constable, in the absence of DS Scott. Joyce Barnaby is helping a local group of conservationists identify architecturally important buildings in the area, and is asked to investigate the same cottage, potentially putting her in danger. Barnaby then discovers that there is something odd about the person selling the cottage. Distribuie sau scrie parerea ta despre episodul Midsomer Murders S09E01 - The House in the Woods.